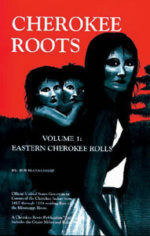 This volume collects most of the writings published by the accomplished Cherokee leader Elias Boudinot (1802-1839). Founding editor of the Cherokee Phoenix, Boudinot is the most ambiguous and puzzling figure in Cherokee history. Although he first struggled against the removal of his people from their native Southeast, Boudinot later reversed his position and signed the Treaty of New Echota, an action that cost him his life. Together with Theda Perdue’s biographical introduction and in-depth annotations, these letters, articles, pamphlets, and editorials document the stages of Boudinot’s religious, philosophical, and political growth, from his early optimism that the Cherokees could completely assimilate into white society to his call for a separate nation of “civilized” Cherokees.